Remote control your parkingheater with your mobile phone instead! 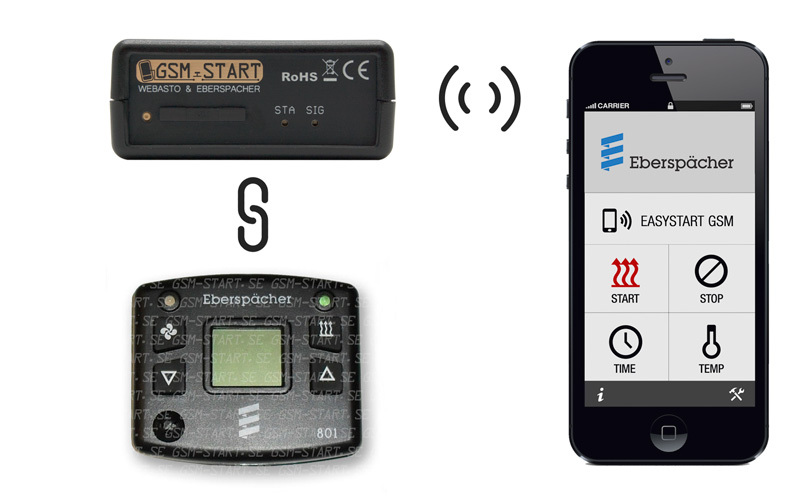 Use our user-friendly APP or Webastos or Eberspächers own apps "Thermo Call" / "EasyStart GSM". The installation usually takes less than 20 minutes. We offer a 2-year guarantee on all of our products! 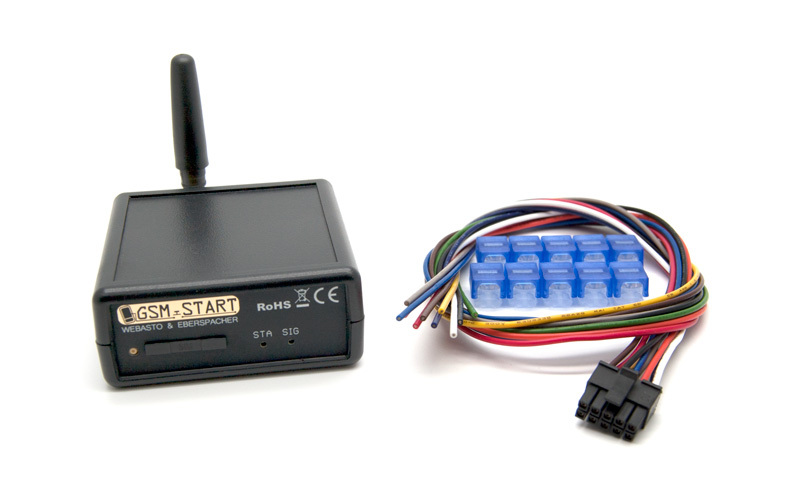 In this kit all you need is supplied to connect GSMS-PH5 to the Eberspacher 801 controller. Requires that you have an existing 801 controller (shown in the first pictures bottom left) and that you can get to the wires going into the back of the controller and connect GSMS-PH5 according to the schematic. 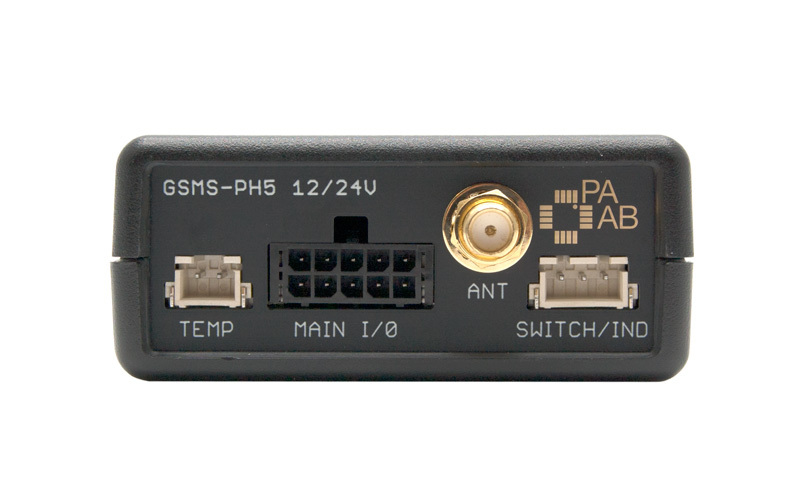 The GSMS-PH5 unit is developed and manufactured in Sweden* and rigorously tested & well proven. We use only high quality components from authorized distributors. The only thing more you need is a SIM-card, read more about it HERE. *PCB made in China, enclosure made in USA. Picked-and-placed, assembled and tested in Sweden. 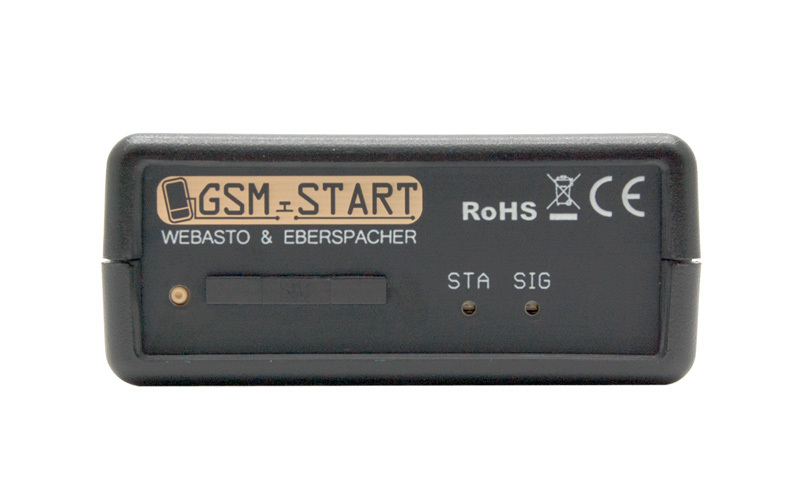 gsm-start.se is not affiliated with Webasto or Eberspacher in any way.